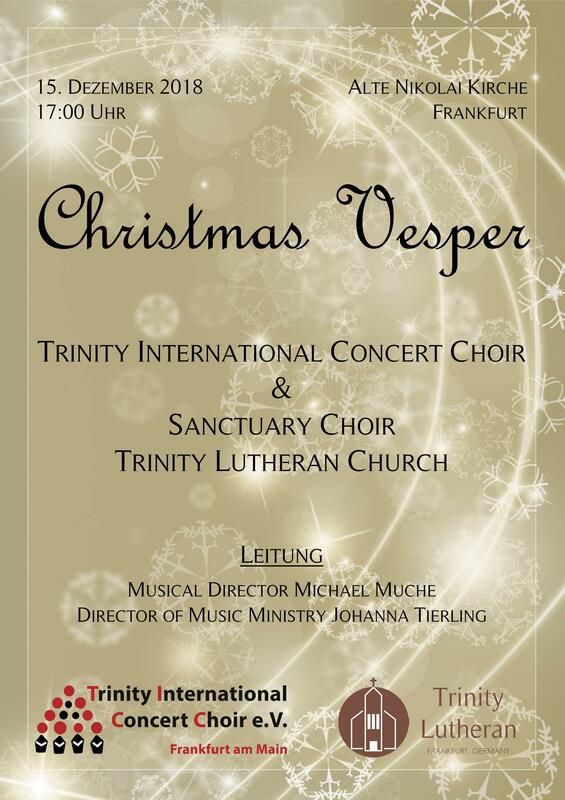 TICC, which is hosted by Trinity Lutheran Church, provided Advent music on the first Sunday in Advent during worship. Following the Service we had a Christmas Market with delicious eatables and drinkables as well as handicraft items for your Christmas giving. Funds raised help defray orchestra and soloist costs of the Telemann concerts “Der Tag des Gerichts” in Wiesbaden and Frankfurt as well as those of the upcoming concerts in Lent of 2019. 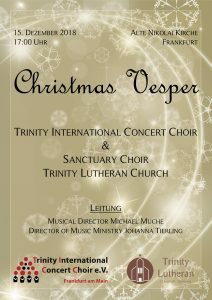 Christmas Vesper, a musical performance together with the sanctuary choir of the Trinity Lutheran Church.